Juventus superstar Paulo Dybala has quickly come into view as one of Europe’s great young talents and one of the most wanted players in the world, with links to multiple high-profile clubs. Paulo Dybala is a magician and that’s being kind to the 23-year-old. He can control play, is superb between the lines and has the ability to read a game beautifully. The Argentine is a force to be reckoned with and with his new No. 10 shirt, the former Palermo star has a long future with the Old Lady. The 23-year-old, was previously at Palermo before moving to Juventus, scoring 23 and 19 goals in his first two seasons. He, however, already has two in the SuperCoppa loss to Lazio and then ten more in six Serie A wins, including a hattrick in a dramatic 4-2 win against Genoa. Dybala has started the 2017/18 season brilliantly and already has 10 goals for the Old Lady so far. The best player when Barcelona and Juventus last met in the Champions League quarter-finals, Dybala scored two goals to leave the Catalans needing another epic comeback. He has recently signed a brand new contract with Juventus which keeps him at the club until 2022, and it would take an incredible fee to tempt the Italian giants into selling their star. But still, here are six possible destinations for the incredible Argentine. The Citizens were in the hunt for Dybala back in 2012, back when he still played for Argentine side Instituto de Cordoba, but Palermo swopped in and signed him. Dybala then moved on to Juventus, growing brilliantly and surprising everyone with his goalscoring abilities. Manchester City did, however, turn down an opportunity to sign the 23-year-old attacker after he sent a come-and-get-me plea to Manuel Pellegrini. But, the then City boss declined to bring in Dybala, opting instead for Swansea striker Wilfried Bony. However, with Manchester City’s formidable duo of Sergio Aguero and Gabriel Jesus up front and scoring freely, with 16 goals in their last three Premier League games, they don’t need the Argentine. But as always, Pep Guardiola would love to sign an an exceptionally young attacker. Antonio Conte is understood to be an avid admirer of Juventus number 10 and despite the fact that the Argentina international is worth £50million-rated, Paulo Dybala is worth the money. However, all this depends on the future of their prolific midfielder Eden Hazard. The Belgian international has been linked with a move to Real Madrid, and with Hazard commanding a huge fee, the Blues could easily afford Dybala. However, with super-agent Mino Raiola as Dybala’s agent, it could soon become a possibility. Raiola has already claimed that the Argentine will move on from Juve, but he also made a bold claim, that he could possibly move to Stamford Bridge. The 23-year-old forward has scored 54 goals in 102 appearances for Juventus since making his debut for the Serie A giants back in 2015 but has been linked with a switch to Stamford Bridge. .
Few players on this planet would reject a move to Barcelona because of Lionel Messi’s presence at Camp Nou. However, the only reason that Barcelona sits at number 4 instead of number 2 on this list, is because of the great Lionel Messi. Paulo Dybala, who has seen his value skyrocket over the last few seasons, has seen multiple clubs from all over the world express an interest in him, including Barcelona. However, it looks like the Catalans may suffer and lose out on the Argentinian’s signature, simply because the presence of Messi may undermine his success at Barcelona. Arguably one of the greatest players in the world, Messi’s presence only means that Dybala’s singular achievements could possibly be overlooked (like Neymar). However, once Barcelona’s incredible number 10 retires, it changes everything. While Barcelona may lose out on Paulo Dybala, Real Madrid on the hand could possibly orchestrate another deal from under their noses. While Los Blancos certainly have an incredible squad, with the likes of Cristiano Ronaldo, Gareth Bale and even Isco Alarcon in their line-up, Paulo Dybala would be a welcome addition. With Karim Benzema declining rapidly, Real Madrid wants a candidate who can simply slip on Benzema’s boots and step into the starting eleven alongside both Bale and Cristiano Ronaldo. And given the Argentine’s form of late, that should be a piece of cake for Dybala. The 23-year-old already has 10 odd goals in both the Serie A, Champions League and the SuperCoppa, which has seen put him on their shortlist. With reports in that Manchester United are extremely interested in Paulo Dybala and his services, and further reports of a €175 million offer have already surfaced. However, the Red Devils will face an incredible battle to land the Juventus star, with the likes of Real Madrid, Barcelona and even Manchester City in the race. But the fact that at least two players and Jose Mourinho himself are represented by super-agent Mino Raiola, could give the Old Trafford side the edge in the battle. However, reports have also surfaced that with the return of Diego Costa to Atletico Madrid, Antoine Griezmann could finally become wear the United Red. 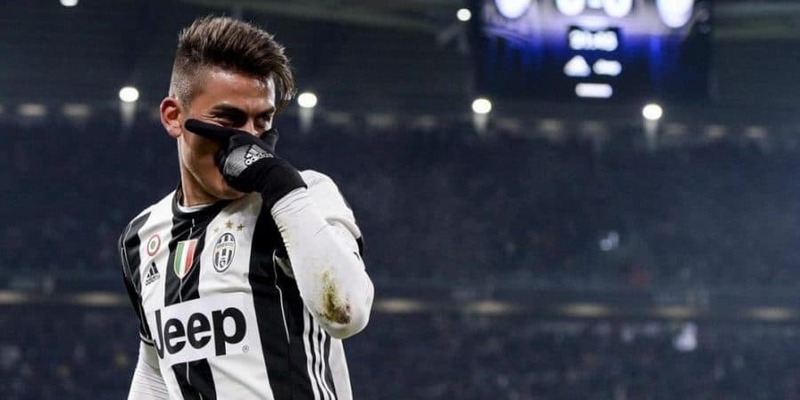 The question for Dybala to answer, however, is whether he would want to become strike partners with Griezmann if he ever does make move to the Premier League. The Old Lady under Massimiliano Allegri has been brilliant in the Serie A, winning the Scudetto six times in a row, with three of those coming with Allegri in charge. And despite all the interest from the big clubs, Paulo Dybala has indicated he wants to stay at Juventus.